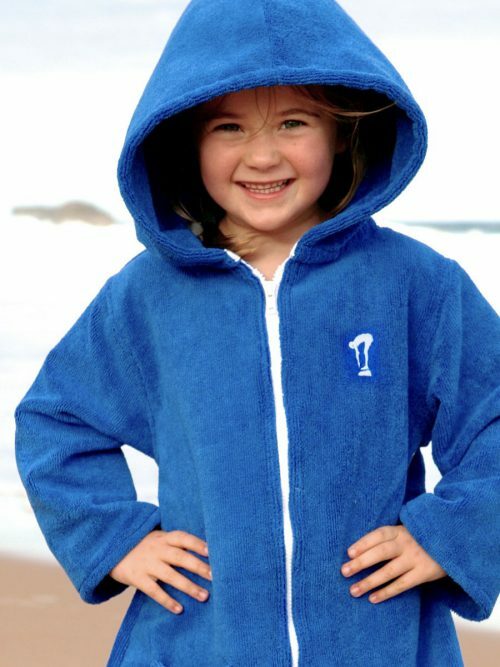 A beautiful Beach Robe and Swim Cap gift pack for pretty little swimmers. 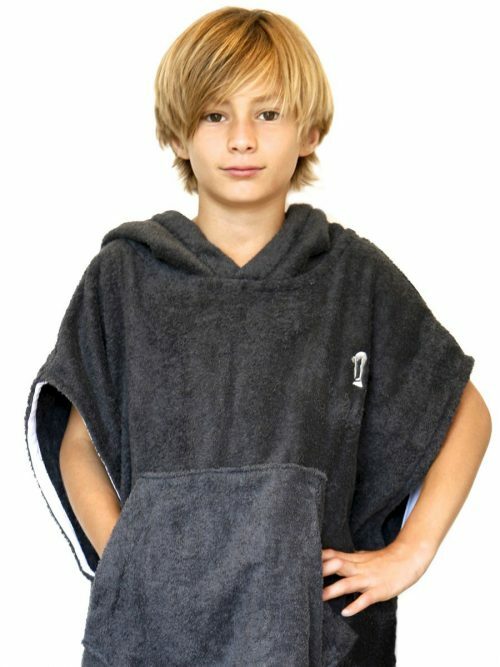 Made from lightweight, super soft and absorbent Microfibre towelling this Beach Robe is perfect for before and after swimming along. 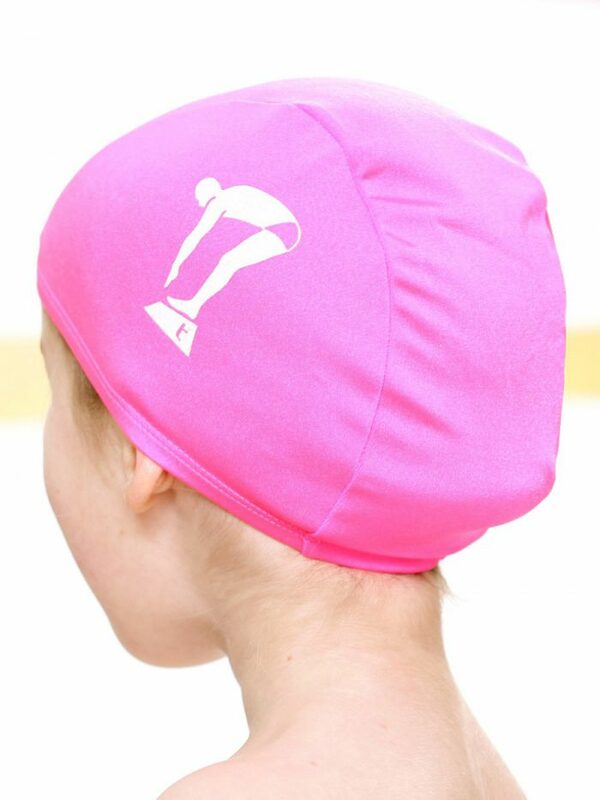 Plus an easy on and off Lycra swim cap! The perfect gift pack for that little water lover! 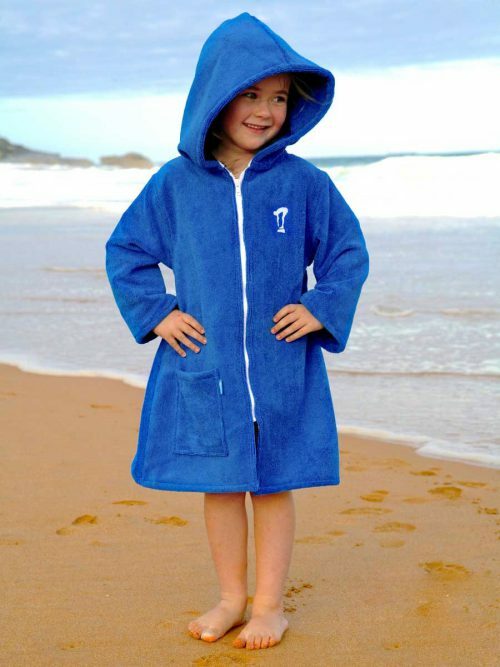 This beach robe is proudly made in Australia from soft and snuggly Microfibre towelling. Microfibre fabric is man-made polyester/polymide known for it’s light weight, soft touch and super absorbent properties. This robe will dry, warm and cover up in one. 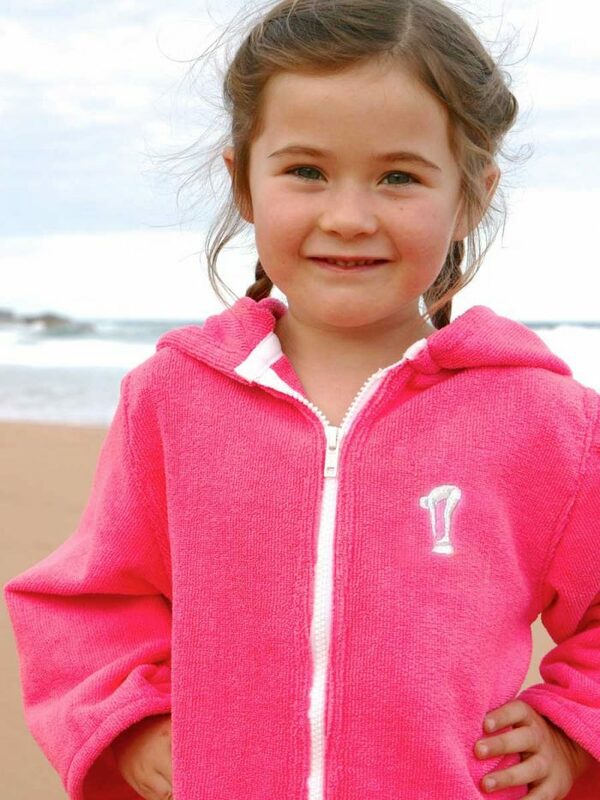 A very handy summer garment for girls that love to swim. 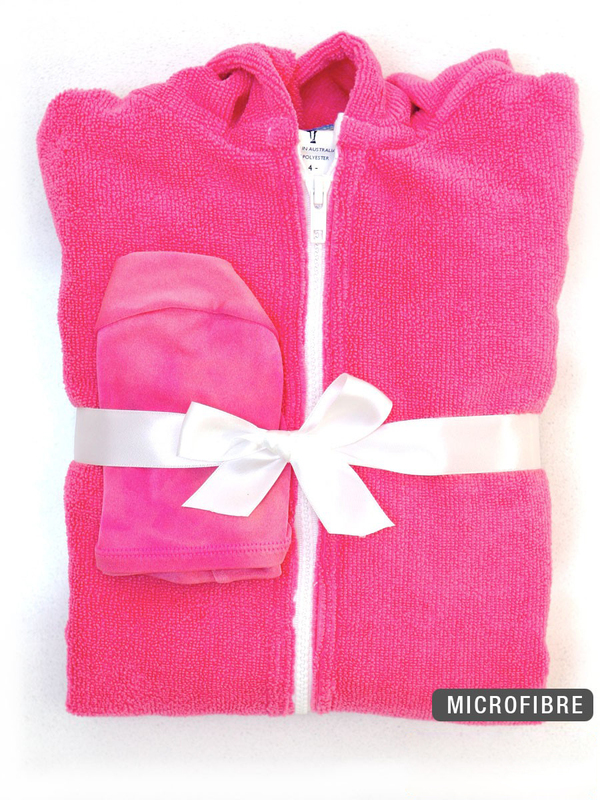 Gift Pack includes: 1 x Microfibre Beach Robe in Pink, 1 x Lycra Swim Cap in Pink. 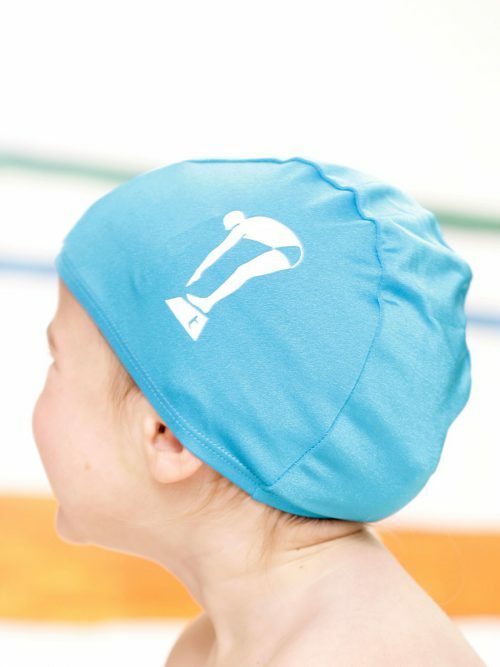 A beautiful Beach Robe and Swim Cap gift pack for pretty little swimmers. 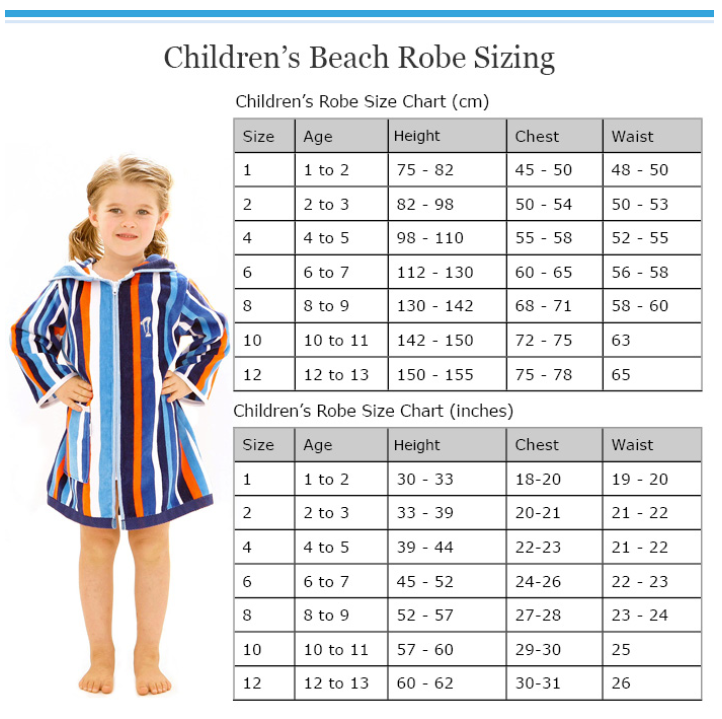 Made from lightweight, super soft and absorbant Microfibre towelling this Beach Robe is perfect for before and after swimming along. 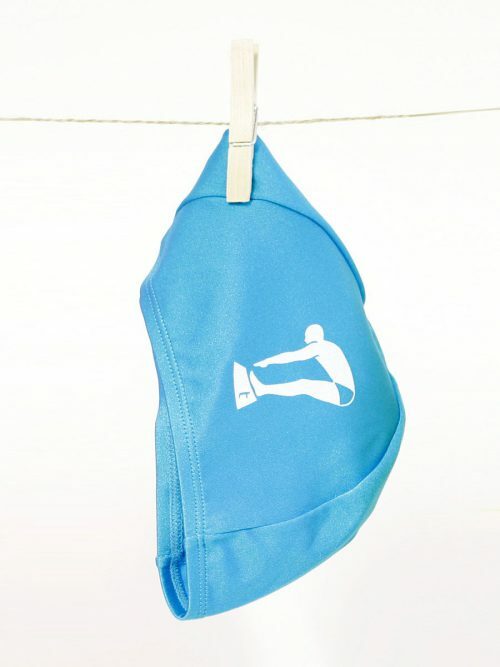 Plus an easy on and off Lycra swim cap! The perfect gift pack for that little water lover! 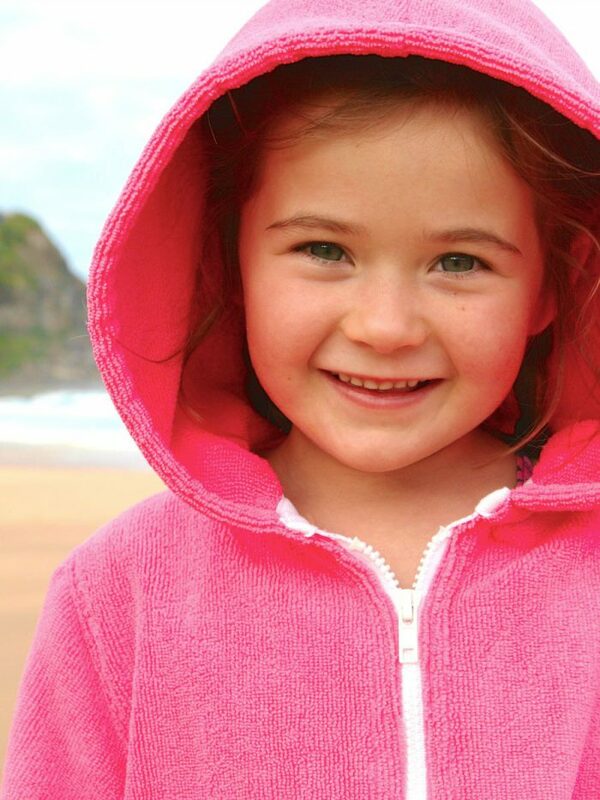 This beach robe is proudly made in Australia from soft and snuggly Microfibre towelling. Microfibre fabric is man-made posyster/polymide known for it’s light weight, soft touch and super absorbant properties. 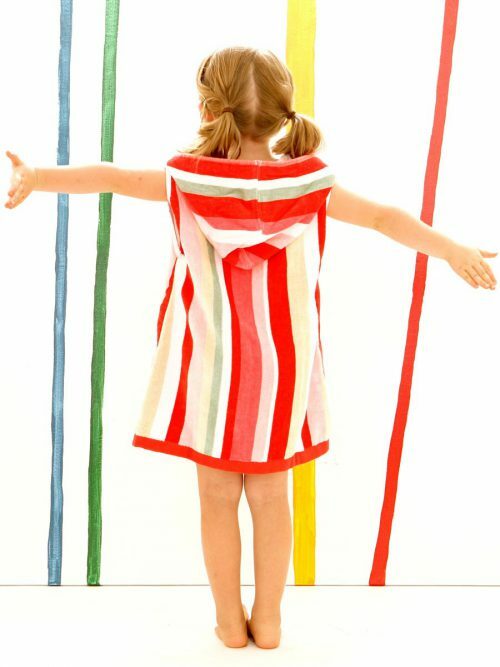 This robe will dry, warm and cover up in one. 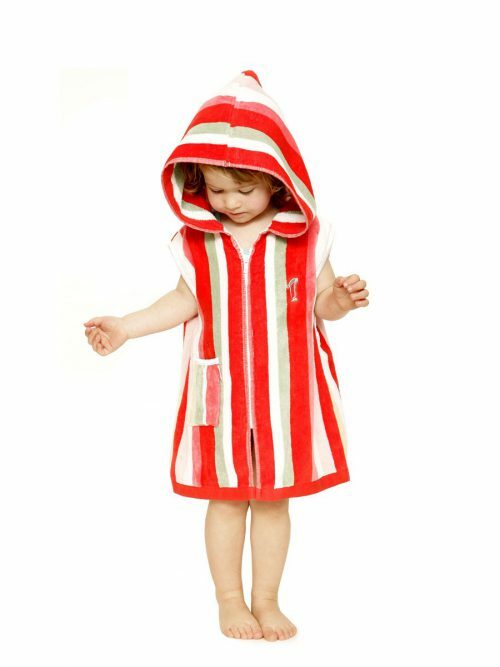 A very handy summer garment for girls that love to swim.